Did you gals know that today is World Handbag Day? I didn't know that it even exists in the first place! I generally would categorise myself as one of those ladies with a minimal to moderate collection. Nothing to the point of filling a room to the brim. Among them, I of course have a few that I favour over others. This is referring to handbags alone ok? Excluding my fave clutches and minaudieres. To commemorate my own personal recognition of World Handbag Day this year, thought I'd dedicate a posting on one of my most precious and cherished handbag, on what I'd like to think as an heirloom. An heirloom usually entails a precious item that has been shared and passed down through several generations. However, for this item, I'm not really sure it has reached that level as yet but Insya Allah my future daughters will take it upon them to appreciate and keep it nicely among their collection. In the first year back in KL from the UK, I lost my beloved grandmother. My late grandmother was not a rich lady. She had a tough upbringing and an even tougher life. But what she lacked in financial riches, Allah granted her rezeki in many other ways. From her many hardships, she turned out to be a very independent, resourceful and hardworking woman. She was a very special woman in my life and one from whom I will remember the many knowledge, kindness and advice I've counted on throughout. From her passing, my late grandmother left her whole cupboard consisting of her precious chinas and other memorabilia to me. 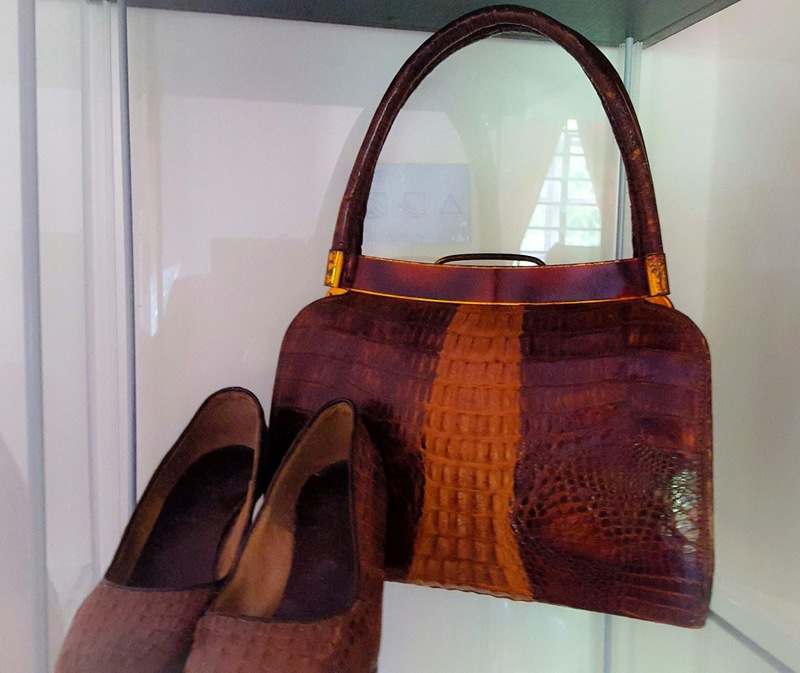 Among them, is this beautiful leather handbag and pair of shoes. I think it's Crocodile? Or is it Alligator? Not really sure what they used for handbags and shoes back then. It has that rustic colour to it. With a combination of a few shades of brown and gold clasps. My late grandparents from my mother's side were very poor. So when one day, my late grandfather returned home and surprised my late grandmother with these, she obviously cherished it so much that she even kept it nicely among her collection for family and guests to see, many many years after his passing. Among the few of her luxury items in life. I keep it in a glass cabinet, on the top shelf. Solely dedicated for my late grandmother's handbag and shoes collection. It's so precious that I'm even scared to send it to a Professional Bag Cleaner. Afraid they'd spoil it or claim it's lost or something. It's a piece of family history kot! No way can I take such risks! So for World Handbag Day, I'd like to pay tribute through this blog posting of my late grandmother's leather handbag. May it retain its elegance throughout just like my late grandmother.